Pictured: The late Ambassador Hanno Rumpf in his younger days. 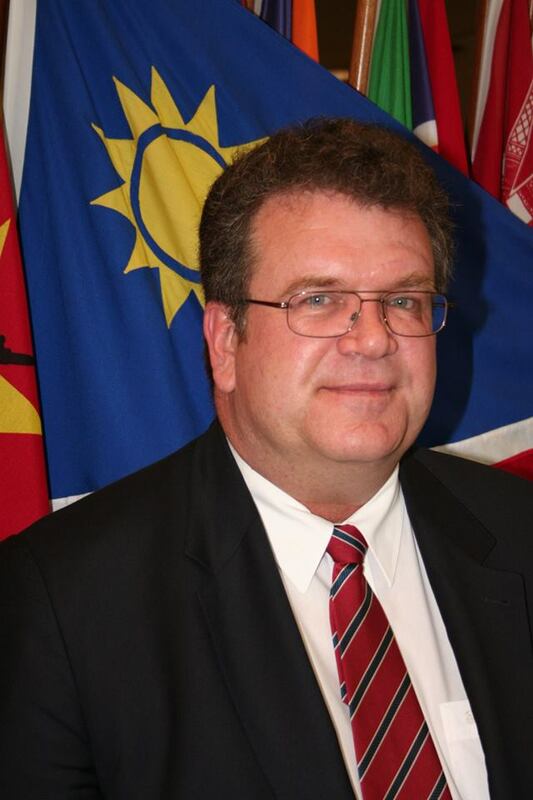 The President of Namibia, Dr. Hage Geingob, as well as the Deputy Prime Minister and Minister of International Relations and Cooperation, Mrs. Netumbo Nandi-Ndaitwah, both reacted with shock upon learning of the untimely death of Ambassador Hanno Rumpf. President Geingob only received the sad news upon his arrival in Addis Ababa where he and Mrs. Nandi-Ndaitwah are currently attending the 32nd Ordinary Summit of the African Union. In an official statement the Deputy Prime Minister and Minister of International Relations and Cooperation, Mrs. Netumbo Nandi-Ndaitwah said she has learnt with profound sadness of the passing of Ambassador Rumpf. She said Ambassador Rumpf was a consummate diplomat and skillful negotiator who served the Republic of Namibia with distinction as Ambassador to the Federal Republic of Germany, with concurrent accreditation to the Federal Republic of Austria and the United Nations in Vienna. He also served as Ambassador to the European Union in Brussels and the Benelux countries, before retiring in 2015. During his diplomatic tours, he endeared himself as a gentle giant both intellectually and through the warmth of his caring character to his peers and interlocutors at all levels. Through his unshaken and principled dedication and commitment to serving the people and government of Namibia, he distinguished himself as a forceful and ardent voice and promoter for socio-economic development, progress and well-being of the people of his country. Ambassador Rumpf was a man of peace and he was dedicated to the well being of the Namibian people. 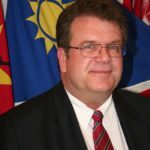 He will be remembered as a hardworking, friendly person, whose dedication and commitment over his career has contributed towards shaping Namibia’s diplomacy and International Relations, particularly in strengthening bilateral relations between Namibia and the EU, at an economic level. The late Namibian Ambassador Rumpf had two domestic employees who worked three days per week at his residence in Martin Luther Street in the Kramersdorf neighbourhood in Swakopmund. According to the official police report provided by the Erongo Regional Crime Investigations Coordinator, Deputy Commissioner Erastus Iikuyu, the pair of domestic workers last saw their employer alive on Monday 4 February. Deputy Commissioner Iikuyu said that officers accompanied by the Swakopmund Fire Brigade entered the house through an open window and discovered the former ambassador’s lifeless body next to his bed on the second story of his residence. Ambassador Rumpf was certified dead at the scene by the family Doctor who, according to Deputy Commissioner Iikuyu, informed investigators that the he suffered from a heart condition.